Election Commission of India has appointed Sh K K Sharma as Special Central Police Observer for the States of West Bengal and Jharkhand and Sh Mrinal Kanti Das as Special Central Police Observer for States of Tripura and Mizoram. Sh K K Sharma, an Indian Police Service officer of 1982 batch and is a Retd DG Border Security Force. Both these officers were allocated to supervise the deployment and other security issues in their respective states. Election Commission has appointed Special Expenditure Observers for six States in view of the forthcoming elections. These states are Andhra Pradesh, Arunachal Pradesh, Gujarat, Karnataka, Nagaland and Telangana. Election Commission of India has appointed Sh. Gopal Mukherjee as Special Expenditure Observers for the state of Andhra Pradesh and Telangana and Sh. D.D. Goel as Special Expenditure Observers for the state of Arunachal Pradesh and Nagaland for the upcoming Lok Sabha Elections. Sh.D.D.Goel ex- Indian Revenue Service (IRS) officer of 1982 batch, and former Directorate General of Income Tax Investigation (DGIT Inv.). Sh. Gopal Mukherjee ex- Indian Revenue Service (IRS) officer of 1980 batch, and former Member of Central Board of Direct Taxes (CBDT). Both these officers will oversee and monitor the work being done by the electoral machinery and ensure that stringent and effective enforcement action is undertaken against the person/entities who are trying to persuade voters by distributing cash, liquor & freebies etc. India has achieved an 84 per cent reduction in tuberculosis deaths among people living with HIV by 2017. 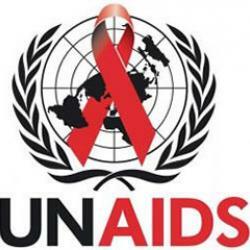 According to the Joint United Nations Programme on the UNAIDS, it is the highest recorded decline among over 20 nations and it is also three years ahead of the 2020 deadline. UNAIDS has urged countries to step up action to meet the 2020 target of reducing TB deaths among people living with HIV by 75 per cent, as outlined in the 2016 United Nations Political Declaration on Ending AIDS. World Health Organisation estimates show that globally, TB deaths among people living with HIV have fallen by 42 per cent since 2010. Indian Space Research Organisation (ISRO) has launched a special programme for schoolchildren called Young Scientist Programme or Yuva Vigyani Karyakram (VUVIKA), in tune with the government’s vision “Jai Vigyan, Jai Anusandhan”. The program is primarily aimed at imparting basic knowledge on space technology, space science and space applications to the younger ones with the intent of arousing their interest in the emerging areas of space activities. This two week long programme is regarded as “Catch them young”. The expenses of the selected students during the entire course will be borne by ISRO. 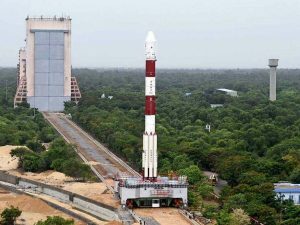 The programme will be of two weeks duration during summer holidays (second half of May 2019) and is scheduled to be held at 4 centers of ISRO. Students of 9th standard (in the academic year 2018-19) and waiting to join 10th Std (or just joined 10th Std) are eligible for the online registration from 25 March 2019 (1800 hrs) to 03 April 2019 (1800 hrs). The selection is based on the 8th Standard academic performance and extracurricular activities. Union Cabinet approved the creation of additional posts of three Judicial Members and three Technical Members in the National Company Law Appellate Tribunal (NCLAT). The additional posts will be created in Level 17 which is equal to Rs 2,25,000 as fixed plus allowances as admissible. The total financial involvement will be Rs 2,27,82,096. It will ensure the time frame for disposal of cases and will also meet the mandate provided to NCLAT by the Finance Act, 2017, the IBC, 2016 and the Companies Act. Public sector lender Bank of Baroda will develop an agri-digital platform called ‘Baroda Kisan’ in order to provide solutions for all major agricultural requirements. Six companies – Skymet Weather Services, Weather Risk Management Services, BigHaat, Agrostar India, EM3 Agri Services and Poorti Agri Services — have signed a memorandum of understanding (MoU) with the bank for this project. Minimum investment of this scheme is Rs 5,000 and in multiples of one rupee thereafter. It will be managed by Rajat Chandak, Dharmesh Kakkad and Priyanka Khandelwal will manage the overseas investments. The offer will open on 26th March and close on 9th April 2019. The 35 years old, American professional wrestler, Stephanie Nicole Garcia-Colace aka Nikki Bella has announcement her retirement from WWE (World Wrestling Entertainment). Earlier this month, her twin sister Brie also announced her retirement. In 2007, she was signed for the WWE and did her debut in November 2008. She has won the WWE Divas Championship twice. Irish Mixed Martial Art fighter Conor McGregor has announced his retirement from the sport. He is the former Ulitmate Fighting Championship (UFC) featherweight and lightweight champion. Mixed martial arts is a full-contact combat sport that allows striking and grappling, both standing and on the ground, using techniques from various combat sports and martial arts. The Ultimate Fighting Championship is an American mixed martial arts promotion company. Shambhu S Kumaran a 1995 batch of Indian Foreign Service officer appointed as next India’s Ambassador to the Kingdom of Morocco. Shambhu S Kumaran a 1995 batch of Indian Foreign Service officer appointed as next India’s Ambassador to Kingdom of Morocco. He will succeed Dr. Kheya Bhattacharya. India has proved its capability of defending its outer space assets after Defence Research and Development Organisation (DRDO) has conducted a successful Anti-Satellite (ASAT) missile test “Mission Shakti” from the Dr APJ Abdul Kalam Island (earlier, Wheeler island) in Odisha. It took just 3 minute. The target was hit by the DRDO developed Ballistic Missile Defence (BMD) Interceptor Missile, in Low Earth Orbit (LEO) in a “Hit to Kill” mode at a height of 300 km from the earth’s surface. The satellite used as target in the mission was one of India’s existing satellites. Mission Shakti is a joint programme of DRDO and the Indian Space Research Organisation (ISRO). There are many countries which have A-SAT capability but it has been demonstrated by only 4 countries: United States, Russia, China and India. Facebook launched two new tools called “Candidate Connect” and “Share You Voted”, specifically for Indian users to encourage civic engagement on its platform during the general elections 2019. These new tools are available in 12 local languages across India. A new video feature “Candidate Connect” will help people to learn more about candidates by providing 20-second videos from candidates in their constituencies, and the “Share You Voted” which will help people to find polling station information. The moves will help to prevent fake news and to make sure that it doesn’t impact the general election in India. Facebook Headquarters: Menlo Park, California, U.S.
World Theatre Day is celebrated every year on 27th March by the ITI (International Theatre Institute) centres and International theatre community. It is initiated by International Theatre Institute in 1961. Every year, various national and international theatre events are organized on this day. Famous theatre director, playwright, academic and faculty member, Carlos CELDRAN from Cuba has been selected as the speaker of World Theatre Day message 2019. The International Theatre Institute ITI is the world’s largest performing arts organization founded in 1948 by theatre and dance experts and UNESCO.